I've been trying to figure out how to use PTC's Windchill parameters with Family Tables/Repeat Regions like any other parameters create by a user... but they seem to be hidden. 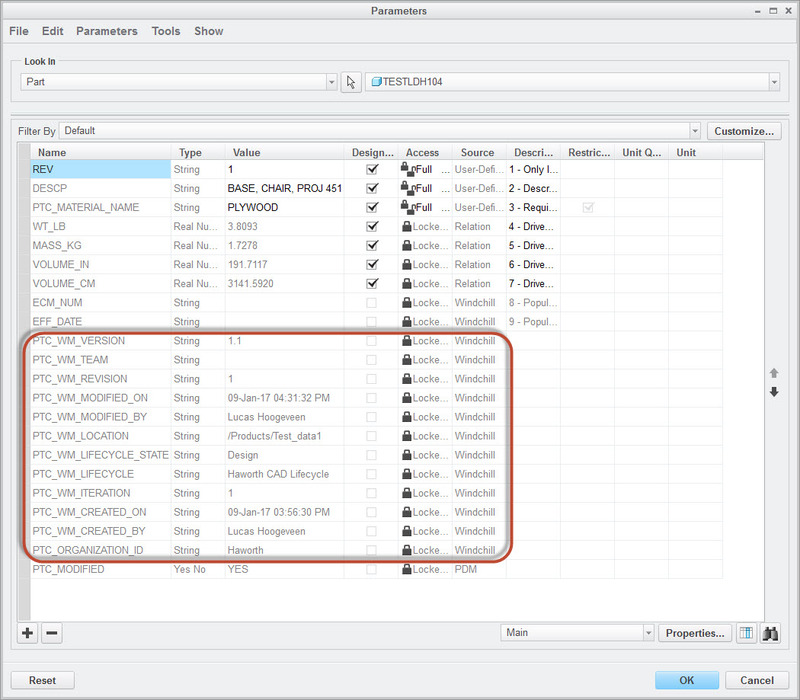 Does anyone know how to use them with 1D or 2D repeat regions without using Relations to drive a new user parameter? It seems like PTC has either hid these on purpose or forgot about them completely. One would think PTC would give their own parameters equal/more preference not less... like not having to add them to a Family Table in order to use them on a Repeat Region. 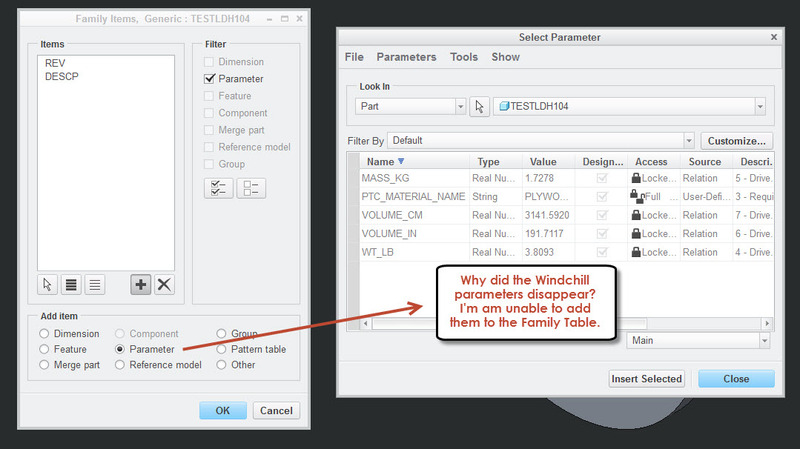 Usually, parameters have to be in the Family table in order to use them in the Repeat Regions but the Windchill parameters cannot be added because they are hidden. 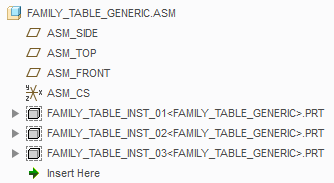 I could be wrong, but I don't think you can display non-family table information on a family table repeat region. I see what you mean about not being able to add PTC_* parameters to the family table. Odd. 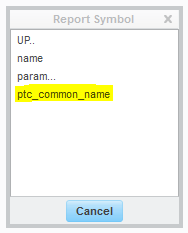 It would appear that the only non-family table parameter that can be used in a family table repeat region is PTC_COMMON_NAME. What if you constructed an assembly containing each instance (just include) and then used an assembly region instead of a family table region? Since all the instances are using the same names for the dimensions and parameters, you should be able to get a similar table. I think you're right... but it seems silly that I'm not able use Windchill parameters to the Family Table and thus unable to use them with Family Table Repeat Region. The only solution that I know of would be to drive a new parameter from the Windchill parameters through relations which adds complexity and method of failure if the relations get deleted. I'm testing trying to using PTC_COMMON_NAME to replace our DESCRIPTION parameter (to allow changing descriptions from Rename/Save As in Windchill) and (unrelated) switching from a manual rev field to the Windchill Rev. I having a wonderful (terrible) time trying to get it to work Family Table Repeat Regions. I can get the PTC_COMMON_NAME to work with 1D repeat region but I end up having to create a hybrid 2D table since Common Name is treated differently than other Creo parameters. 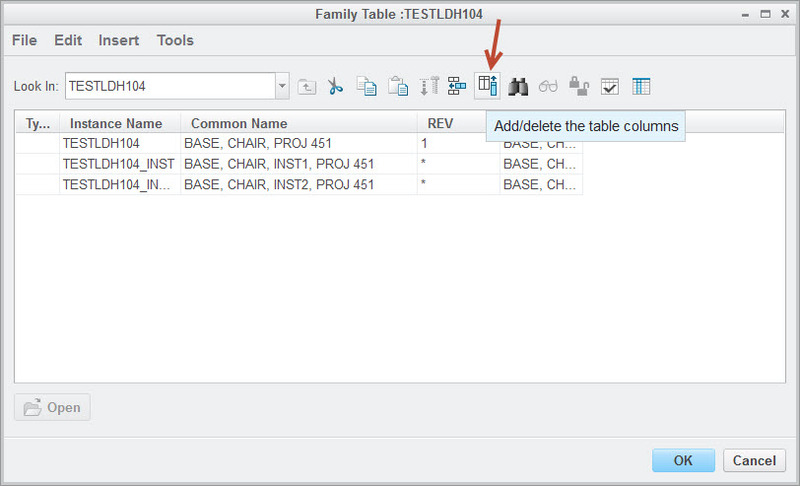 I can't seem to get the column order of the table to work properly in the 2D table. I tested using a DESCRIPTION=PTC_COMMON_NAME relation so I wouldn't need to redo the drawing tables but DESCRIPTION doesn't update in Windchill until the CAD has been checked in again. I could open a case with PTC but they'll probably just give the well loved 'Works to Specification'. All Windchill parameters do not update until the file is checked in. When we first implemented Windchill, our designers would model the part, then create a new drawing file and complain that their parameters were not correct. We had to remind them for a few months that the procedure said, Model, Save, Drawing, Save or Model, Save, Assemble, Save, Drawing, Save. Once they got that Save before doing something else with the file down, things worked a lot smoother. We also discovered that we had to modify a lot of the PTC WM parameters to reformat them for something that we wanted in the drawing formats. We had to use local parameters that were extracts from the PTC_WM parameters. Dates in particular, since a PTC WM date includes a full time stamp and all we needed was the date of the year. This be accomplished through the use of a relation added to your Creo start parts. We are starting to replace old parameters with relations that point to Windchill parameters to cut down on user input error. We can't eliminate the Creo Parameter name all together because we have so many legacy models that are reused in new assemblies. Here are two that we currently have in our start Creo start parts. 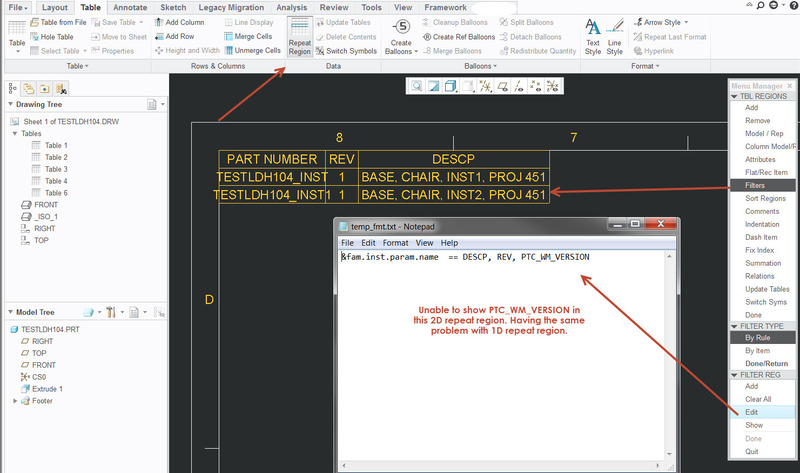 CS49539 - "How can the date format for PTC_WM_CREATED_ON be customized in Creo Parametric"
When we migrated to Windchill, we had a custom modelcheck batch program constructed that would add the new relations to our files and remove out-dated ones. We had a number of parameters that we were adding, most being pulled from Windchill with modifications. Copy of start part relations for a metric part. /* FOR THE WEIGHT AND SURFACE AREA PARAMETERS TO BE UP-TO-DATE. /* PART_NO PARAMETER IS ALWAYS EQUAL TO THE MODEL NAME. We can't eliminate the Creo Parameter name all together because we have so many legacy models that are reused in new assemblies. This be accomplished through the use of a relation added to your Creo start parts. Are you having your users manually add these relations every time they open an old part or are you doing something with ModelCheck?